Manchester death toll: Rises to 22 killed, 59 injured. 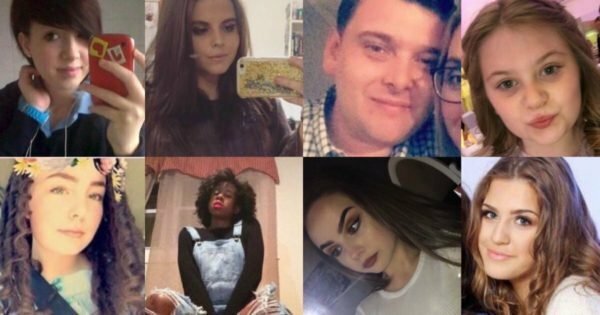 Death toll for suspected Manchester terror attack rises to 22. Twenty-two people including some children have been killed in a suicide attack carried out by one man after a Ariana Grande concert in Manchester. “We believe, at this stage, the attack last night was conducted by one man,” Manchester Chief Constable Ian Hopkins said. “The priority is to establish whether he was acting alone or as part of a network. “This has been the most horrific incident we have had to face in Greater Manchester and one that we all hoped we would never see,” he said. He says a “fast-moving investigation” has established the attack was conducted by one man who died at the scene, although detectives are working to establish if he was “was acting alone or as part of a network”. Prime Minister Theresa May says police are treating the deadly incident as a terrorist attack and if confirmed it will rank as the deadliest militant assault in Britain since four British Muslims killed 52 people in suicide bombings on London’s transport system in July 2005. Police responded to reports of an explosion shortly after 10.35pm (local time) on Monday at the Manchester Arena, which has the capacity to hold 21,000 people, where Grande had been performing to an audience that included many children and teenagers. May, who faces an election in two-and-a-half weeks, said her thoughts were with the victims and their families. Her ruling Conservative Party has suspended campaigning ahead of the June 8 election. “We are working to establish the full details of what is being treated by the police as an appalling terrorist attack,” she said in a statement. Manchester Chief Constable Ian Hopkins said police were treating the blast as a terrorist incident and are working counter-terrorism police and intelligence agencies. There was no immediate claim of responsibility, but US officials drew parallels to the coordinated attacks in November 2015 by Islamist militants on the Bataclan concert hall and other sites in Paris, which claimed about 130 lives. The Islamist militant group has not claimed responsibility for the attack, although Islamic State supporters have celebrated the blast on social media and encouraged similar attacks elsewhere. Britain is on its second-highest alert level of “severe”, meaning an attack by militants is considered highly likely. The US Department of Homeland Security was monitoring the situation closely but said it had no information to indicate a specific credible threat involving music venues in the United States. In March, a British-born convert to Islam ploughed a car into pedestrians on London’s Westminster Bridge, killing four people before stabbing to death a police officer who was on the grounds of parliament. The man was shot dead at the scene. In 2015, Pakistani student Abid Naseer was convicted in a US court of conspiring with al-Qaeda to blow up the Arndale shopping centre in the centre of Manchester in April 2009.